The game will be a new craft, with which you can create new weapons, armor, tools and things that were previously in the game was not. You will have to play the altar of spirit with which you can summon demonic spirits. The game will be a few new bosses and a new game you enjoy. Christmas Bosses mod for Minecraft PE 0.10.4 / 0.10.0«Christmas Bosses» mod adds 3 new Christmas bosses in Minecraft - Pocket Edition and all to raise your Christmas and New Year mood. Curium mod for Minecraft PE 0.10.4With this mod in the game will be a new ore. 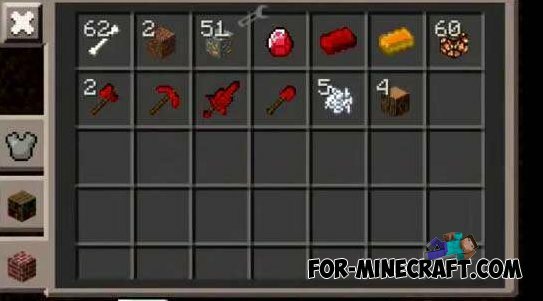 This ore will be red, and from it we can be crafted in the game is very cool armor, weapons and tools. 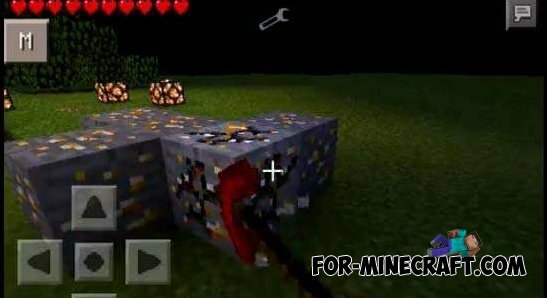 Divine RPG mod for Minecraft PE 0.9.5This mod adds to the game Minecraft Pocket Edition new items, bosses and blocks!